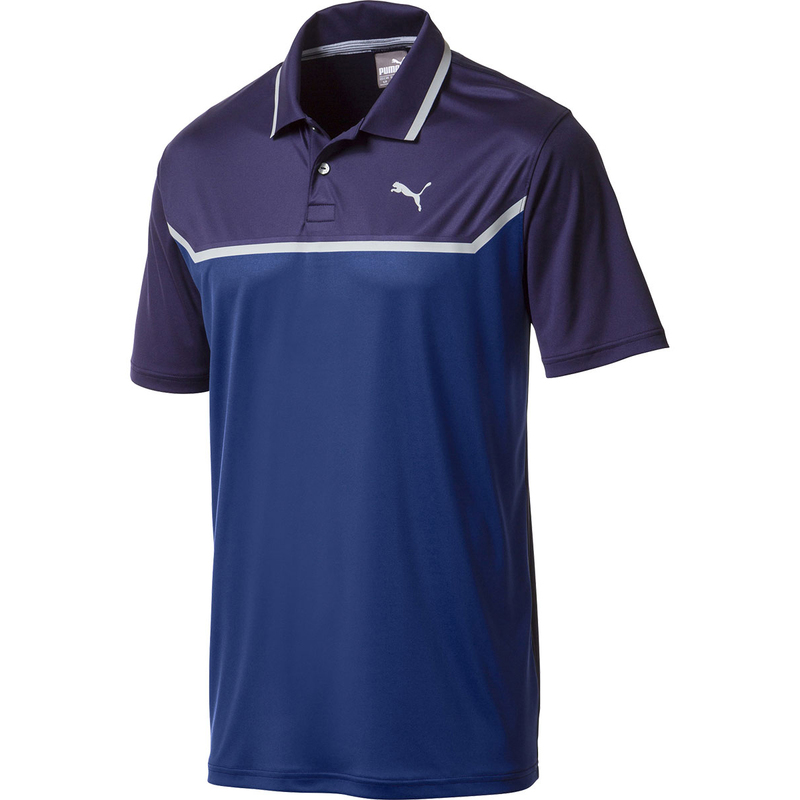 This modern styled and highly technical polo shirt, has been engineered with a stretch fabric to give you a better performance out on the golf course. 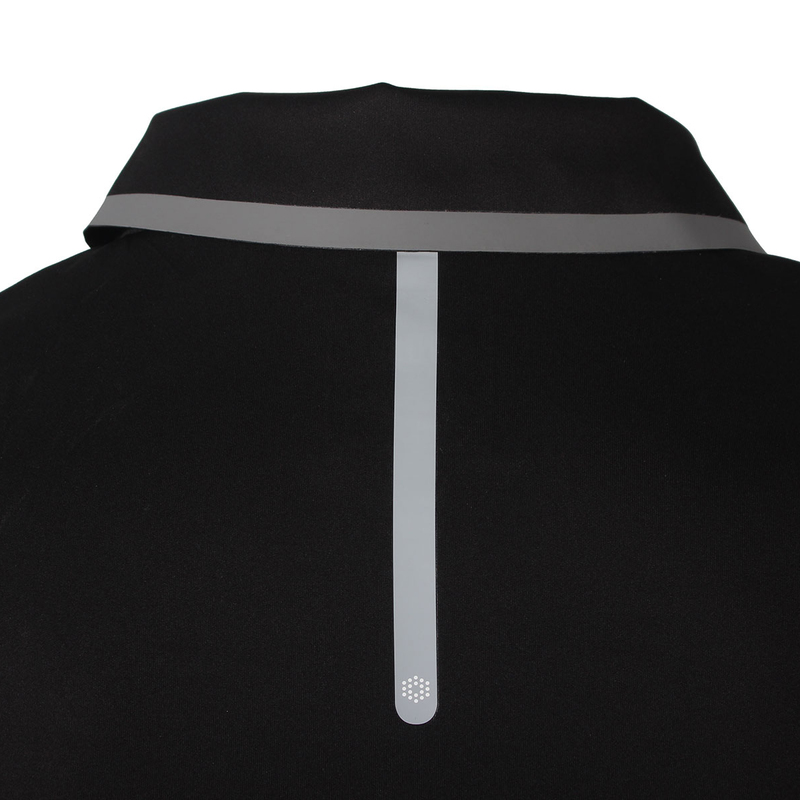 With dryCELL fabric which draws moisture away from the skin surface for rapid evaporation, this offers less distraction with the added benefit of a 40+ UPF sun protection rating. 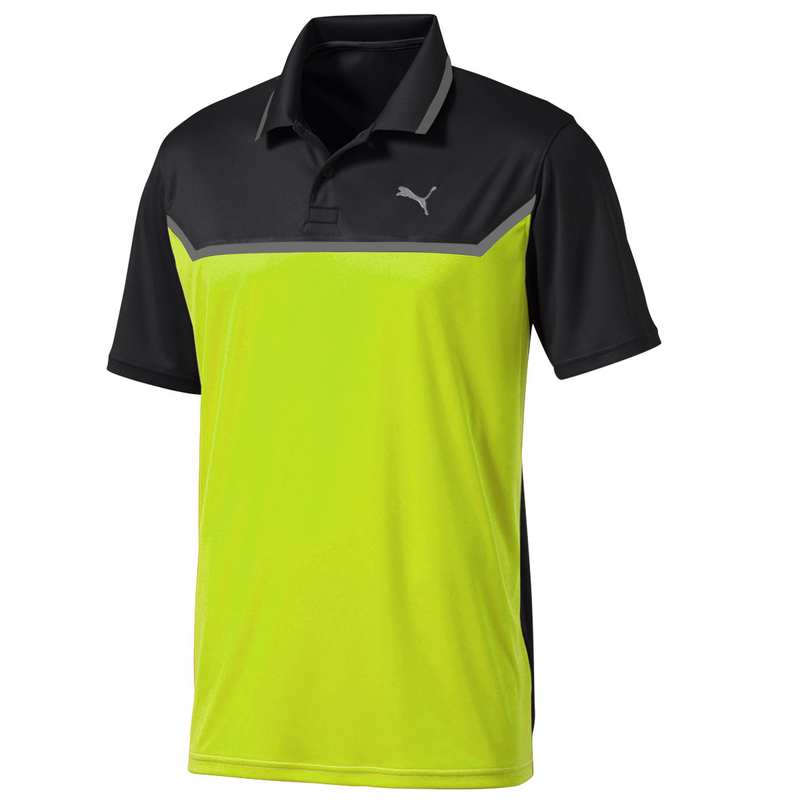 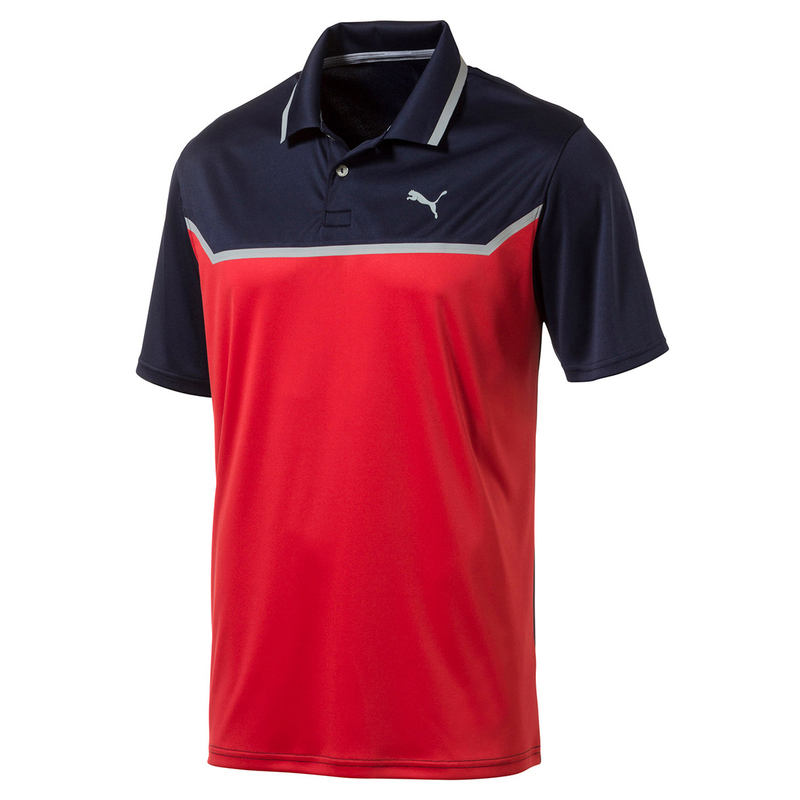 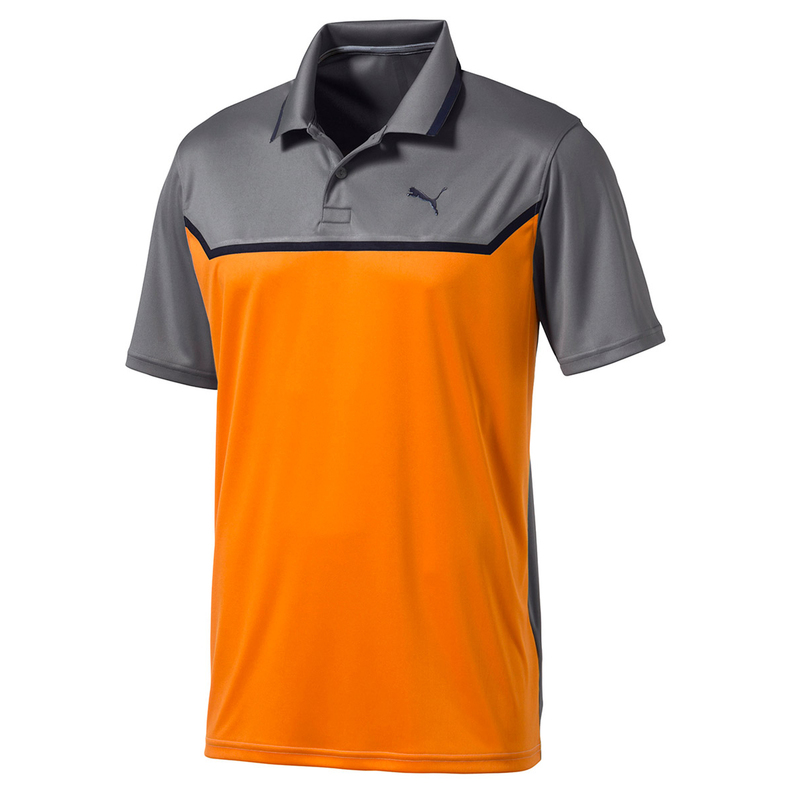 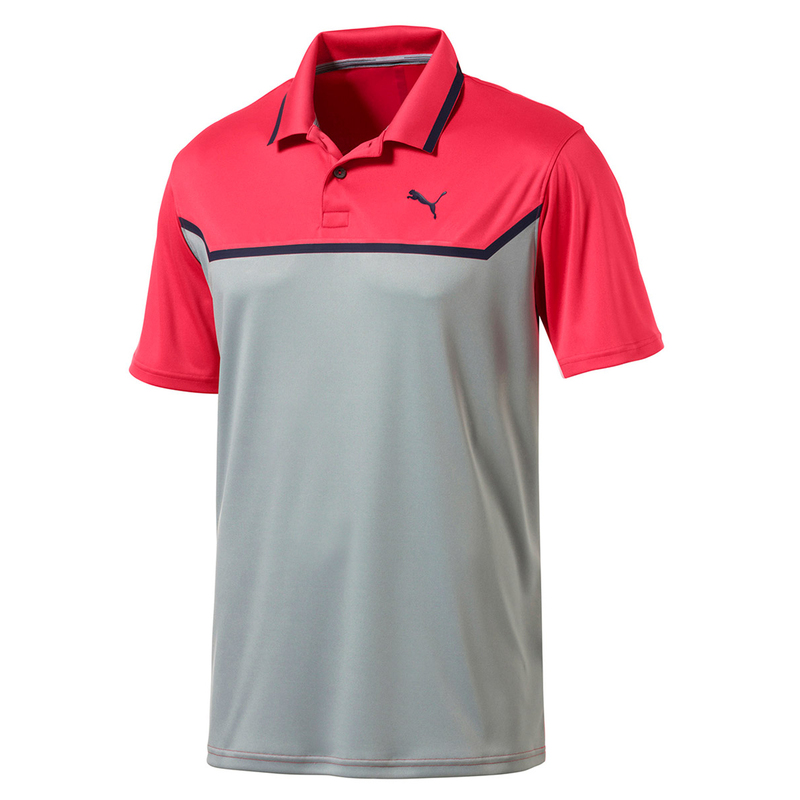 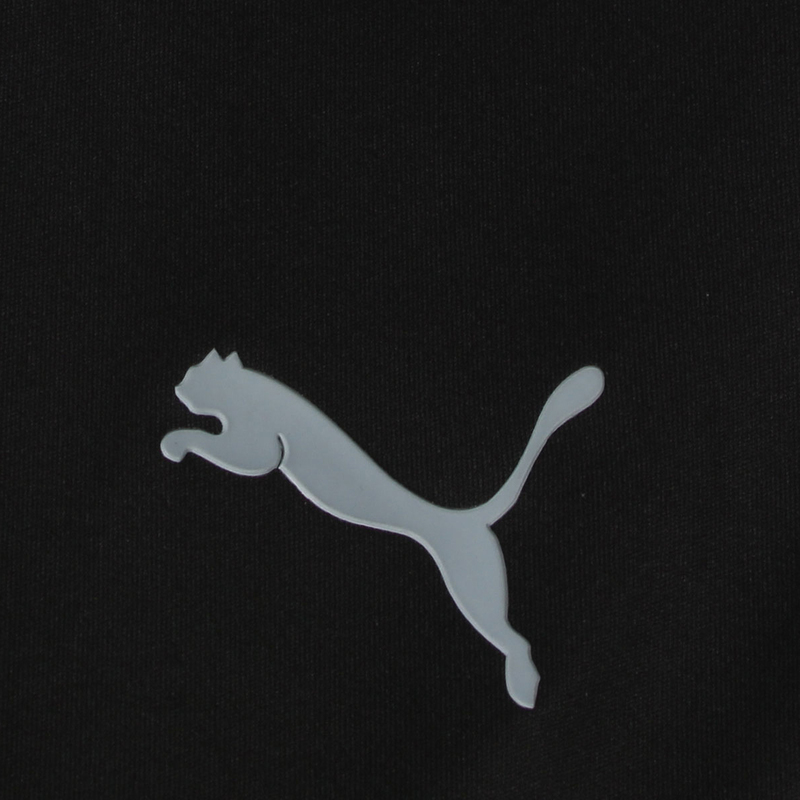 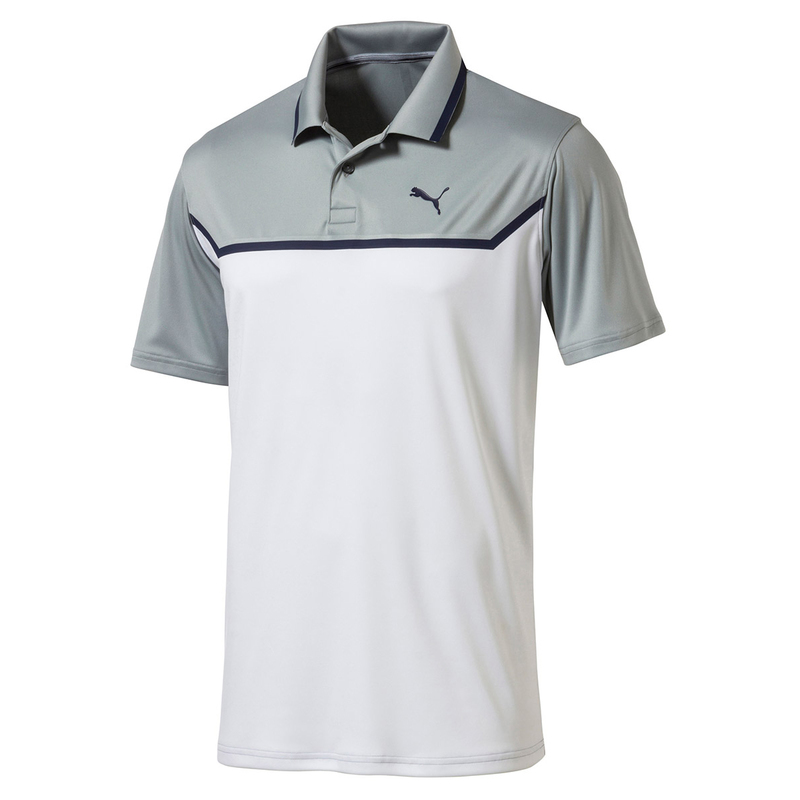 The shirt is ultra-light, has a button placket and fold over collar, and has PUMA branding on the front and back.